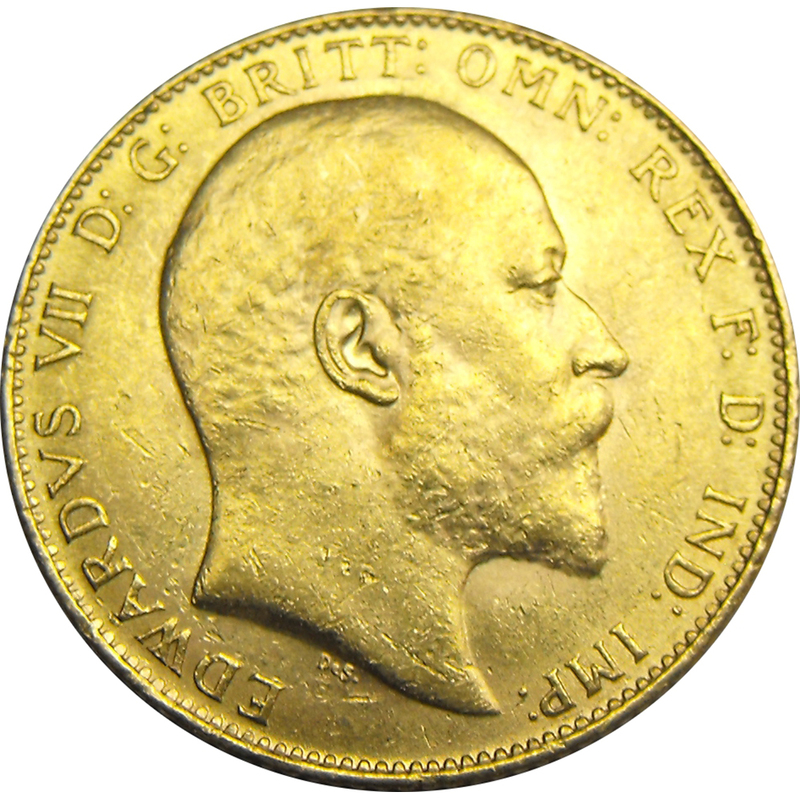 The Pre-Owned Melbourne Mint 1882 Full Sovereign features the 'Shield' design on the reverse, rather than the George & the Dragon. 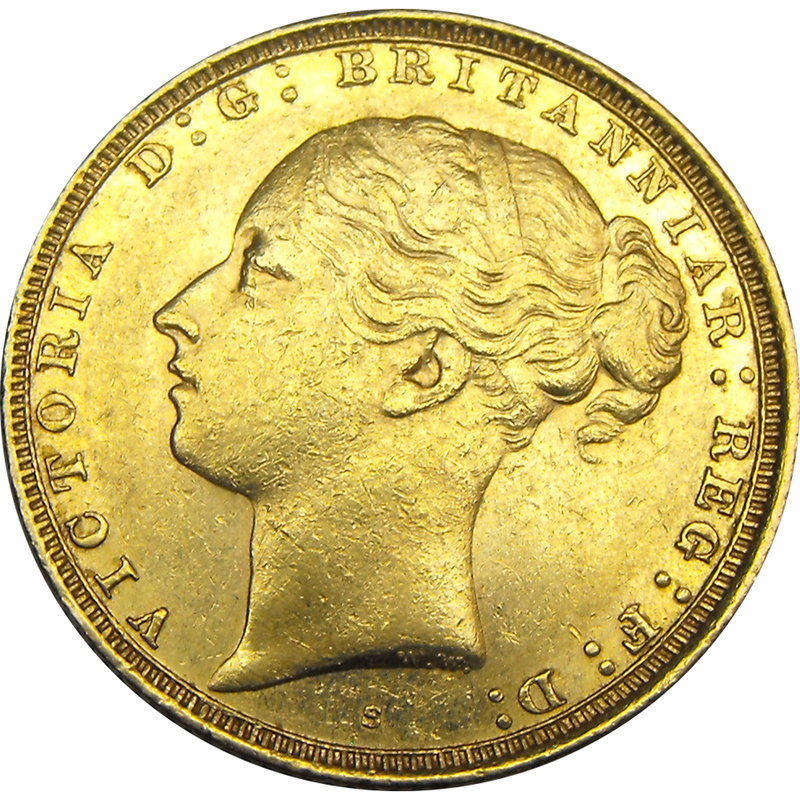 A new Ensigns Armorial was commissioned for the reverse of Victoria’s first sovereign. 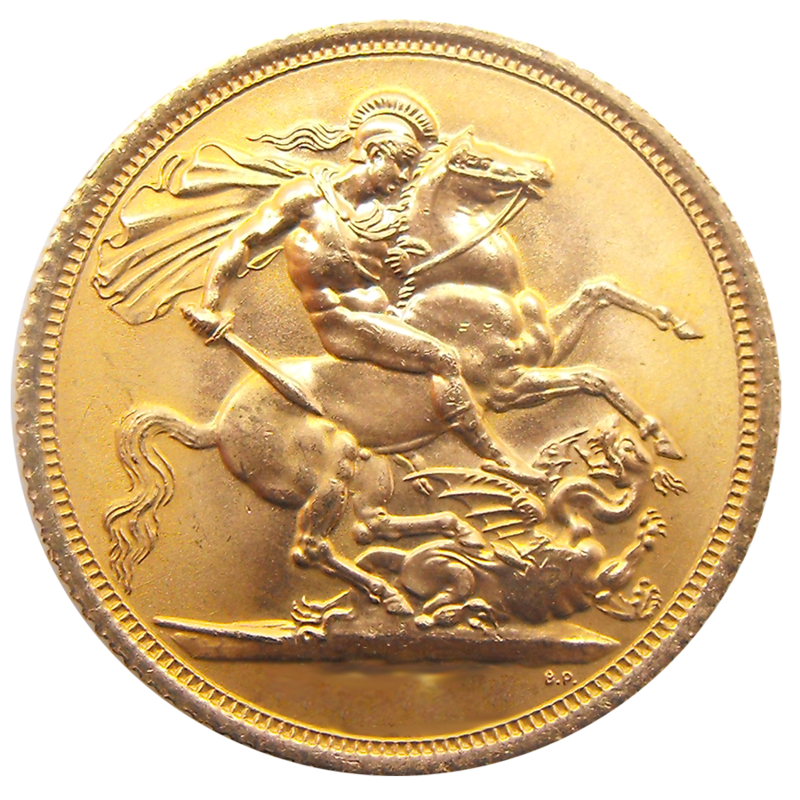 It was designed and engraved by Jean Baptise Merlen and depicts a shield, adorned with a crown and a wreath. 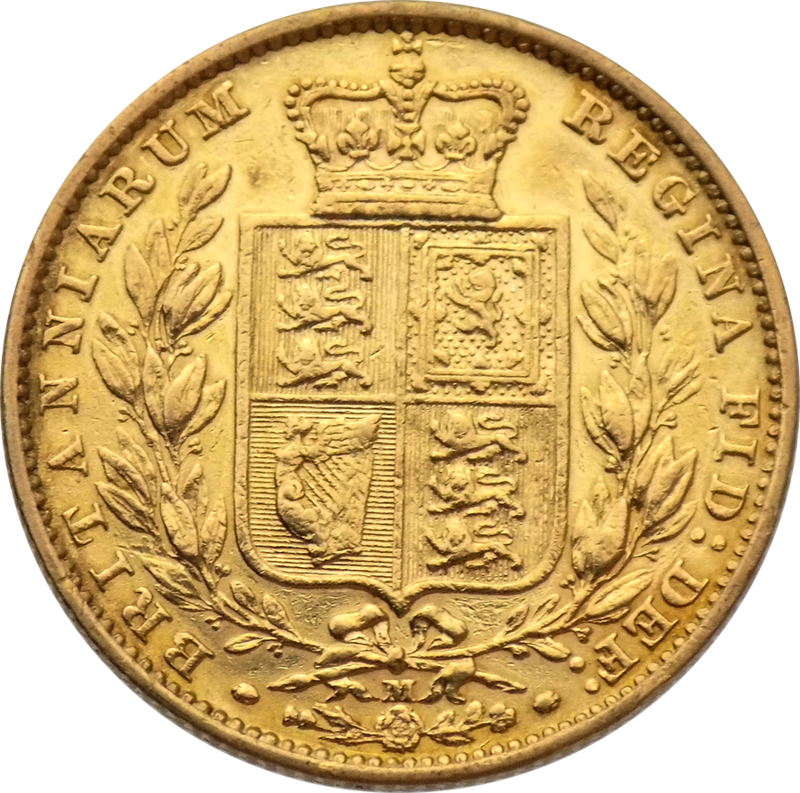 The conjoined rose, thistle and shamrock represent England, Scotland and Ireland. 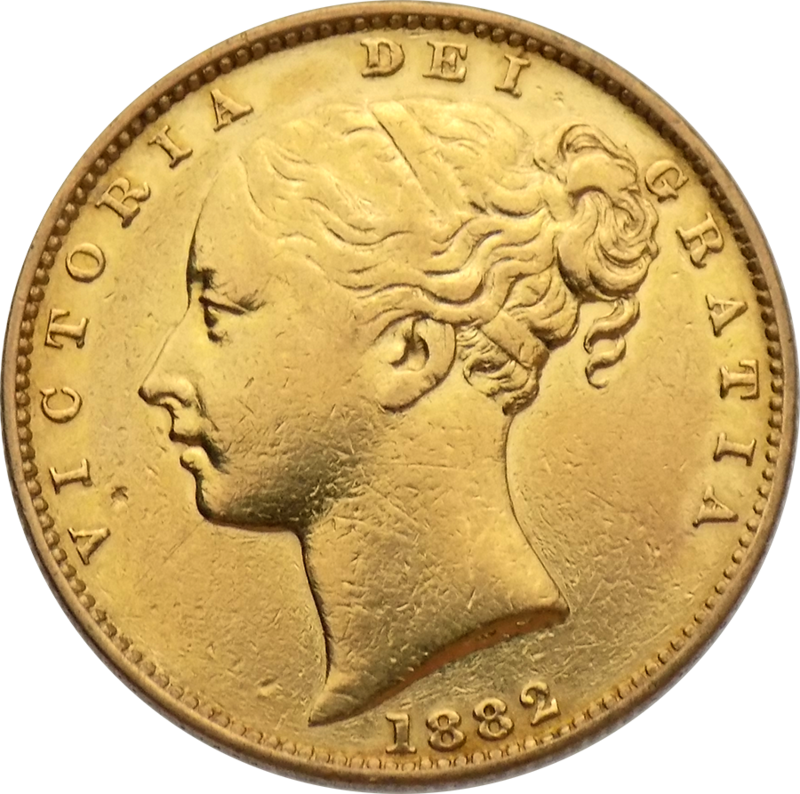 The obverse depicts the first portrait of Her Majesty Queen Victoria, it is also known as the Young Head or Bun Head portrait.